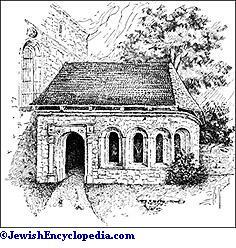 French commentator on Bible and Talmud; born at Troyes in 1040; died there July 13, 1105. His fame has made him the subject of many legends. The name of Yarḥi, applied to him as early as the sixteenth century, originated in a confusion of Solomon bar Isaac with one Solomon de Lunel, and a further error caused the town of Lunel to be regarded as Rashi's birthplace. In reality he was a native of Troyes, where, a century ago, butcher-shops were still shown which were built on the site of his dwelling and which flies were said never to enter. R. Simon the Elder was his maternal uncle; but a genealogy invented at a later date assigned this relationship to the tanna Johanan ha-Sandalar. According to tradition, Rashi's father carried his religious zeal so far that he cast into the sea a gem that was much coveted by Christians, whereupon he heard a mysterious voice which foretold him the birth of a noble son. Legend states also that his mother, imperiled in one of the narrow streets of Worms during her pregnancy, pressed against a wall, which opened to receive her. 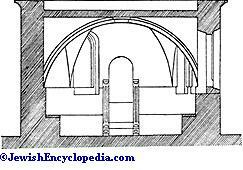 This miraculous niche is still shown there, as well as the bench from which Rashi taught. As a matter of fact, however, Rashi merely studied at Worms for a time, his first teacher being Jacob b. Yaḳar, of whom he speaks with great veneration. 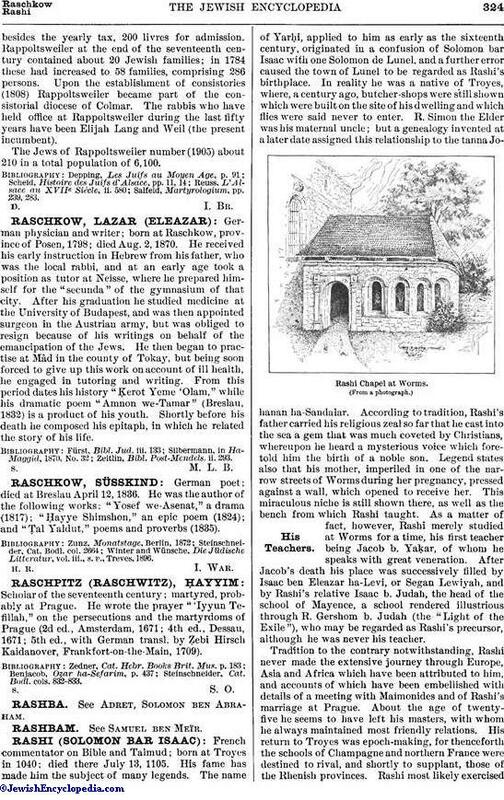 After Jacob's death his place was successively filled by Isaac ben Eleazar ha-Levi, or Segan Lewiyah, and by Rashi's relative Isaac b. Judah, the head of the school of Mayence, a school rendered illustrious through R. Gershom b. Judah (the "Light of the Exile"), who may be regarded as Rashi's precursor, although he was never his teacher. Tradition to the contrary notwithstanding, Rashi never made the extensive journey through Europe, Asia and Africa which have been attributed to him, and accounts of which have been embellished with details of a meeting with Maimonides and of Rashi's marriage at Prague. About the age of twenty-five he seems to have left his masters, with whom he always maintained most friendly relations. His return to Troyes was epoch-making, for thenceforth the schools of Champagne and northern France were destined to rival, and shortly to supplant, those of the Rhenish provinces. Rashi most likely exercisedthe functions of rabbi in his native city, but he seems to have depended for support chiefly on his vineyards and the manufacture of wine. About 1070 he founded a school which attracted many disciples and which became still more important after the death of his own preceptors. His most noted pupils were Simḥah of Vitry and Shemaiah, who were his kinsmen, and Judah b. Abraham, Joseph b. Judah, and Jacob b. Samson. He had no sons, but three daughters, of whom Miriam and Jochebed married two of his pupils, Judah b. Nathan and Meïr b. Samuel; so that his family became, in a sense, the diffusers of rabbinical learning in France. 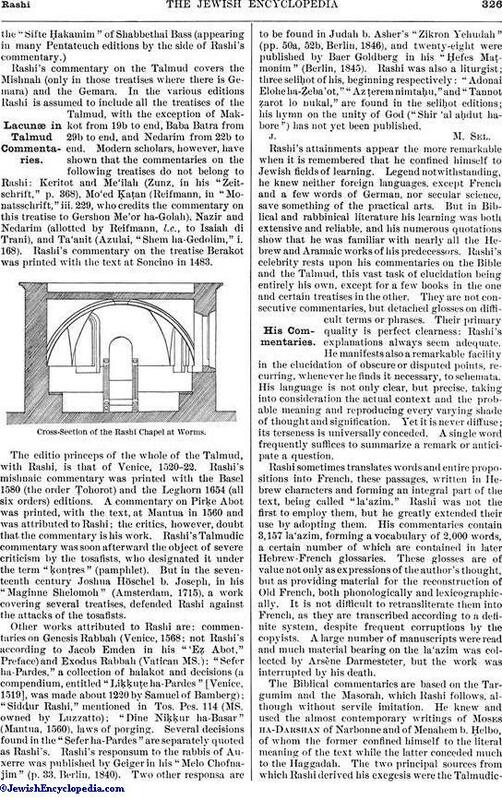 Rashi's training bore fruit in his commentaries, possibly begun while he was still in Lorraine. His last years were saddened by the massacres which took place at the outset of the first Crusade (1095-1096), in which he lost relatives and friends. One legend connects his name with that of Godfrey de Bouillon, to whom he is said to have foretold the defeat of his expedition; while another tradition attributes to him a journey to Barcelona, in the latter part of his life, to seek a man indicated to him in a dream as destined to be his comrade in paradise. Another legend further states that he died and was buried in Prague. Rashi's commentary on the Pentateuch was first printed without the text at Reggio in 1475 (the first dated Hebrew book printed); five years later it was reprinted in square characters. Its first appearance with the text was at Bologna in 1482, the commentary being given in the margin; this was the first commentary so printed. Since that date there have been published a great many editions of the Pentateuch with Rashi's commentary only. At different periods other parts of the Old Testament appeared with his commentary: the Five Scrolls (Bologna, c. 1484); the Five Scrolls, Daniel, Ezra, and Nehemiah (Naples, 1487); Job, Psalms, Proverbs, and Daniel (Salonica, 1515); the Pentateuch, the Five Scrolls, Ezra, and Chronicles (Venice, 1517). The editio princeps of Rashi on the whole of the Old Testament was called "Miḳra'ot Gedolot" (ib. 1525), in which, however, of Proverbs and the books of Job and Daniel the text alone was given. Owing to its importance, Rashi's commentary was translated into Latin by Christian scholars of the seventeenth and eighteenth centuries, some parts several times. The most complete Latin translation is that of John Frederick Breithaupt, which appeared at Gotha: on the Pentateuch, 1710; on the Prophets, the twelve Minor Prophets, Job, and Psalms, 1713; on the Earlier Prophets and the Hagiographa, 1714. The whole commentary on the Pentateuch was translated into German by L. Dukes (Prague, 1838), and parts of it were translated into Judæo-German by Judah Löb Bresch in his edition of the Pentateuch (Cremona, 1560), and likewise by Jacob b. Isaac in his "Sefer ha-Maggid" (Prague, 1576). 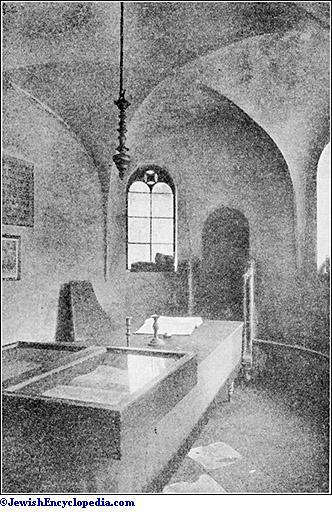 Interior of the Rashi Chapel at Worms. Rashi's commentary on the Talmud covers the Mishnah (only in those treatises where there is Gemara) and the Gemara. In the various editions Rashi is assumed to include all the treatises of the Talmud, with the exception of Makkot from 19b to end, Baba Batra from 29b to end, and Nedarim from 22b to end. Modern scholars, however, have shown that the commentaries on the following treatises do not belong to Rashi: Keritot and Me'ilah (Zunz, in his "Zeitschrift," p. 368), Mo'ed Ḳaṭan (Reifmann, in "Monatsschrift," iii. 229, who credits the commentary on this treatise to Gershon Me'or ha-Golah). Nazir and Nedarim (allotted by Reifmann, l.c., to Isaiah di Trani), and Ta'anit (Azulai, "Shem ha-Gedolim," i. 168). Rashi's commentary on the treatise Berakot was printed with the text at Soncino in 1483. 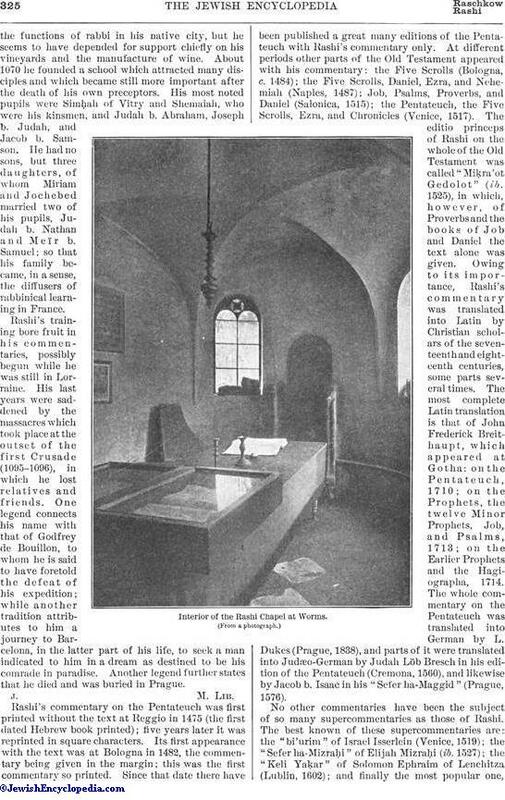 Cross-Section of the Rashi Chapel at Worms. The editio princeps of the whole of the Talmud, with Rashi, is that of Venice, 1520-22. Rashi's mishnaic commentary was printed with the Basel 1580 (the order Ṭohorot) and the Leghorn 1654 (all six orders) editions. A commentary on Pirḳe Abot was printed, with the text, at Mantua in 1560 and was attributed to Rashi; the critics, however, doubt that the commentary is his work. Rashi's Talmudic commentary was soon afterward the object of severe criticism by the tosafists, who designated it under the term "ḳonṭres" (pamphlet). But in the seventeenth century Joshua Höschel b. Joseph, in his "Maginne Shelomoh" (Amsterdam, 1715), a work covering several treatises, defended Rashi against the attacks of the tosafists. Other works attributed to Rashi are: commentaries on Genesis Rabbah (Venice, 1568; not Rashi's according to Jacob Emden in his "'Eẓ Abot," Preface) and Exodus Rabbah (Vatican MS.): "Sefer ha-Pardes," a collection of halakot and decisions (a compendium, entitled "Liḳḳuṭe ha-Pardes" [Venice, 1519], was made about 1220 by Samuel of Bamberg); "Siddur Rashi," mentioned in Tos. Pes. 114 (MS. owned by Luzzatto); "Dine Niḳḳur ha-Basar" (Mantua, 1560), laws of porging. Several decisions found in the "Sefer ha-Pardes" are separately quoted as Rashi's. Rashi's responsum to the rabbis of Auxerre was published by Geiger in his "Melo Chofnajim" (p. 33, Berlin, 1840). Two other responsa are to be found in Judah b. Asher's "Zikron Yehudah" (pp. 50a, 52b, Berlin, 1846), and twenty-eight were published by Baer Goldberg in his "Ḥefes Maṭmonim" (Berlin, 1845). Rashi was also a liturgist; three seliḥot of his, beginning respectively: "Adonai Elohe ha-Ẓeba'ot," "Az ṭerem nimtaḥu," and "Tannot ẓarot lo nukal," are found in the seliḥot editions; his hymn on the unity of God ("Shir 'al aḥdut habore") has not yet been published. Rashi's attainments appear the more remarkable when it is remembered that he confined himself to Jewish fields of learning. Legend notwithstanding, he knew neither foreign languages, except French and a few words of German, nor secular science, save something of the practical arts. But in Biblical and rabbinical literature his learning was both extensive and reliable, and his numerous quotations show that he was familiar with nearly all the Hebrew and Aramaic works of his predecessors. 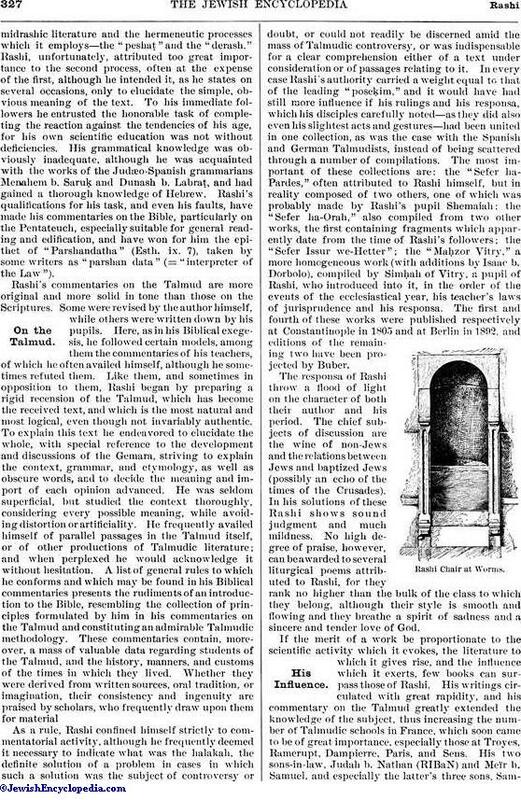 Rashi's celebrity rests upon his commentaries on the Bible and the Talmud, this vast task of elucidation being entirely his own, except for a few books in the one and certain treatises in the other. They are not consecutive commentaries, but detached glosses on difficult terms or phrases. Their primary quality is perfect clearness: Rashi's explanations always seem adequate. He manifests also a remarkable facility in the elucidation of obscure or disputed points, recurring, whenever he finds it necessary, to schemata. His language is not only clear, but precise, taking into consideration the actual context and the probable meaning and reproducing every varying shade of thought and signification. Yet it is never diffuse; its terseness is universally conceded. A single word frequently suffices to summarize a remark or anticipate a question. Rashi sometimes translates words and entire propositions into French, these passages, written in Hebrew characters and forming an integral part of the text, being called "la'azim." Rashi was not the first to employ them, but he greatly extended their use by adopting them. His commentaries contain 3,157 la'azim, forming a vocabulary of 2,000 words, a certain number of which are contained in later Hebrew-French glossaries. These glosses are of value not only as expressions of the author's thought, but as providing material for the reconstruction of Old French, both phonologically and lexicographically. It is not difficult to retransliterate them into French, as they are transcribed according to a definite system, despite frequent corruptions by the copyists. A large number of manuscripts were read and much material bearing on the la'azim was collected by Arsène Darmesteter, but the work was interrupted by his death. The Biblical commentaries are based on the Targumim and the Masorah, which Rashi follows, although without servile imitation. He knew and used the almost contemporary writings of Moses ha-Darshan of Narbonne and of Menahem b. Ḥelbo, of whom the former confined himself to the literal meaning of the text while the latter conceded much to the Haggadah. The two principal sources from which Rashi derived his exegesis were the Talmudicmidrashicmidrashic literature and the hermeneutic processes which it employs—the "peshaṭ" and the "derash." Rashi, unfortunately, attributed too great importance to the second process, often at the expense of the first, although he intended it, as he states on several occasions, only to elucidate the simple, obvious meaning of the text. To his immediate followers he entrusted the honorable task of completing the reaction against the tendencies of his age, for his own scientific education was not without deficiencies. His grammatical knowledge was obviously inadequate, although he was acquainted with the works of the Judæo-Spanish grammarians Menahem b. Saruḳ and Dunash b. Labraṭ, and had gained a thorough knowledge of Hebrew. Rashi's qualifications for his task, and even his faults, have made his commentaries on the Bible, particularly on the Pentateuch, especially suitable for general reading and edification, and have won for him the epithet of "Parshandatha" (Esth. ix. 7), taken by some writers as "parshan data" (= "interpreter of the Law"). Rashi's commentaries on the Talmud are more original and more solid in tone than those on the Scriptures. Some were revised by the author himself, while others were written down by his pupils. Here, as in his Biblical exegesis, he followed certain models, among them the commentaries of his teachers, of which he often availed himself, although he sometimes refuted them. Like them, and sometimes in opposition to them, Rashi began by preparing a rigid recension of the Talmud, which has become the received text, and which is the most natural and most logical, even though not invariably authentic. To explain this text he endeavored to elucidate the whole, with special reference to the development and discussions of the Gemara, striving to explain the context, grammar, and etymology, as well as obscure words, and to decide the meaning and import of each opinion advanced. He was seldom superficial, but studied the context thoroughly, considering every possible meaning, while avoiding distortion or artificiality. He frequently availed himself of parallel passages in the Talmud itself, or of other productions of Talmudic literature; and when perplexed he would acknowledge it without hesitation. A list of general rules to which he conforms and which may be found in his Biblical commentaries presents the rudiments of an introduction to the Bible, resembling the collection of principles formulated by him in his commentaries on the Talmud and constituting an admirable Talmudic methodology. These commentaries contain, more over, a mass of valuable data regarding students of the Talmud, and the history, manners, and customs of the times in which they lived. Whether they were derived from written sources, oral tradition, or imagination, their consistency and ingenuity are praised by scholars, who frequently draw upon them for material. 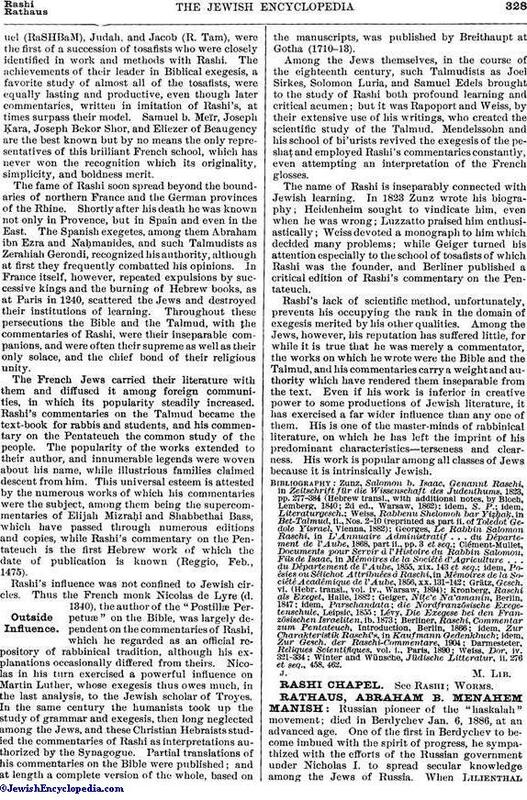 As a rule, Rashi confined himself strictly to commentatorial activity, although he frequently deemed it necessary to indicate what was the halakah, the definite solution of a problem in cases in which such a solution was the subject of controversy or doubt, or could not readily be discerned amid the mass of Talmudic controversy, or was indispensable for a clear comprehension either of a text under consideration or of passages relating to it. In every case Rashi's authority carried a weight equal to that of the leading "poseḳim," and it would have had still more influence if his rulings and his responsa, which his disciples carefully noted—as they did also even his slightest acts and gestures—had been united in one collection, as was the case with the Spanish and German Talmudists, instead of being scattered through a number of compilations. The most important of these collections are: the "Sefer ha-Pardes," often attributed to Rashi himself, but in reality composed of two others, one of which was probably made by Rashi's pupil Shemaiah; the "Sefer ha-Orah," also compiled from two other works, the first containing fragments which apparently date from the time of Rashi's followers; the "Sefer Issur we-Hetter"; the "Maḥzor Vitry," a more homogeneous work (with additions by Isaac b. Dorbolo), compiled by Simḥah of Vitry, a pupil of Rashi, who introduced into it, in the order of the events of the ecclesiastical year, his teacher's laws of jurisprudence and his responsa. The first and fourth of these works were published respectively at Constantinople in 1805 and at Berlin in 1892, and editions of the remaining two have been projected by Buber. The responsa of Rashi throw a flood of light on the character of both their author and his period. The chief subjects of discussion are the wine of non-Jews and the relations between Jews and baptized Jews (possibly an echo of the times of the Crusades). In his solutions of these Rashi shows sound judgment and much mildness. No high degree of praise, however, can beawarded to several liturgical poems attributed to Rashi, for they rank no higher than the bulk of the class to which they belong, although their style is smooth and flowing and they breathe a spirit of sadness and a sincere and tender love of God. If the merit of a work be proportionate to the scientific activity which it evokes, the literature to which it gives rise, and the influence which it exerts, few books can surpass those of Rashi. His writings circulated with great rapidity, and his commentary on the Talmud greatly extended the knowledge of the subject, thus increasing the number of Talmudic schools in France, which soon came to be of great importance, especially those at Troyes, Ramerupt, Dampierre, Paris, and Sens. His two sons-in-law, Judah b. Nathan (RIBaN) and Meïr b. Samuel, and especially the latter's three sons. Samuel(RaSHBaM), Judah, and Jacob (R. Tam), were the first of a succession of tosafists who were closely identified in work and methods with Rashi. The achievements of their leader in Biblical exegesis, a favorite study of almost all of the tosafists, were equally lasting and productive, even though later commentaries, written in imitation of Rashi's, at times surpass their model. Samuel b. Meïr, Joseph Ḳara, Joseph Bekor Shor, and Eliezer of Beaugency are the best known but by no means the only representatives of this brilliant French school, which has never won the recognition which its originality, simplicity, and boldness merit. The fame of Rashi soon spread beyond the boundaries of northern France and the German provinces of the Rhine. Shortly after his death he was known not only in Provence, but in Spain and even in the East. The Spanish exegetes, among them Abraham ibn Ezra and Naḥmanides, and such Talmudists as Zerahiah Gerondi, recognized his authority, although at first they frequently combatted his opinions. In France itself, however, repeated expulsions by successive kings and the burning of Hebrew books, as at Paris in 1240, scattered the Jews and destroyed their institutions of learning. Throughout these persecutions the Bible and the Talmud, with the commentaries of Rashi, were their inseparable companions, and were often their supreme as well as their only solace, and the chief bond of their religious unity. The French Jews carried their literature with them and diffused it among foreign communities, in which its popularity steadily increased. Rashi's commentaries on the Talmud became the text-book for rabbis and students, and his commentary on the Pentateuch the common study of the people. The popularity of the works extended to their author, and innumerable legends were woven about his name, while illustrious families claimed descent from him. This universal esteem is attested by the numerous works of which his commentaries were the subject, among them being the supercommentaries of Elijah Mizraḥi and Shabbethai Bass, which have passed through numerous editions and copies, while Rashi's commentary on the Pentateuch is the first Hebrew work of which the date of publication is known (Reggio, Feb., 1475). Rashi's influence was not confined to Jewish circles. Thus the French monk Nicolas de Lyre (d. 1340), the author of the "Postillæ Perpetuæ" on the Bible, was largely dependent on the commentaries of Rashi, which he regarded as an official repository of rabbinical tradition, although his explanations occasionally differed from theirs. Nicolas in his turn exercised a powerful influence on Martin Luther, whose, exegesis thus owes much, in the last analysis, to the Jewish scholar of Troyes. In the same century the humanists took up the study of grammar and exegesis, then long neglected among the Jews, and these Christian Hebraists studied the commentaries of Rashi as interpretations authorized by the Synagogue. Partial translations of his commentaries on the Bible were published; and at length a complete version of the whole, based on the manuscripts, was published by Breithaupt at Gotha (1710-13). Among the Jews themselves, in the course of the eighteenth century, such Talmudists as Joel Sirkes, Solomon Luria, and Samuel Edels brought to the study of Rashi both profound learning and critical acumen; but it was Rapoport and Weiss, by their extensive use of his writings, who created the scientific study of the Talmud. Mendelssohn and his school of bi'urists revived the exegesis of the peshaṭ and employed Rashi's commentaries constantly, even attempting an interpretation of the French glosses. The name of Rashi is inseparably connected with Jewish learning. In 1823 Zunz wrote his biography; Heidenheim sought to vindicate him, even when he was wrong; Luzzatto praised him enthusiastically; Weiss devoted a monograph to him which decided many problems; while Geiger turned his attention especially to the school of tosafists of which Rashi was the founder, and Berliner published a critical edition of Rashi's commentary on the Pentateuch. Rashi's lack of scientific method, unfortunately, prevents his occupying the rank in the domain of exegesis merited by his other qualities. Among the Jews, however, his reputation has suffered little, for while it is true that he was merely a commentator, the works on which he wrote were the Bible and the Talmud, and his commentaries carry a weight and authority which have rendered them inseparable from the text. Even if his work is inferior in creative power to some productions of Jewish literature, it has exercised a far wider influence than any one of them. His is one of the master-minds of rabbinical literature, on which he has left the imprint of his predominant characteristics—terseness and clearness. His work is popular among all classes of Jews because it is intrinsically Jewish. Winter and Wünsche, Jüdische Litteratur, ii. 276 et seq., 458, 462.